Our Trident fence for deer control and plant protection is available in three different strengths - each suitable for different applications. Our Economy Deer Fence has a breaking strength of 500 lbs./sq. ft. and can serve as temporary fencing or for seasonal use. Economy Poly Deer Fence protects flowerbeds and gardens for 3-5 years and can easily be taken down before winter weather hits home. Trident's extruded deer fence is made from a durable plastic material that has the added benefit of a reinforced bottom edge to help secure ground stakes and stop deer browsing around landscapes. Trident's extruded deer fence is not only corrosion-proof and UV-stabilized to reduce breakdown due to exposure from the sun, but the black color of the 1.75"x 2" mesh allows the fence to blend into the background from a distance. The Heavy Duty Deer Fence, known as with reinforced bottom edge has a certified breaking load of 650/lbs to add further crop protection where deer pressure in gardens may be more intense. This heavy duty plastic deer fence is rated to last 10-15 years and is our best selling plastic fencing system. Extra Strength Deer Fence is the second strongest poly extruded deer fencing available on Deerbusters.com. Trident's Premium Plastic Deer Fencing has a breaking strength of 750 lbs./sq. ft. and is used in large landscapes and around commercial properties such as nurseries, vineyards, and community gardens. Extra Strength poly fence may also be appropriate in areas with extremely heavy deer pressure. Expect the Extra Strength Deer Fence to last about 15-20 years. Finally, Deerbusters offers Maximum Strength Extruded Deer Fence with a reinforced bottom edge. 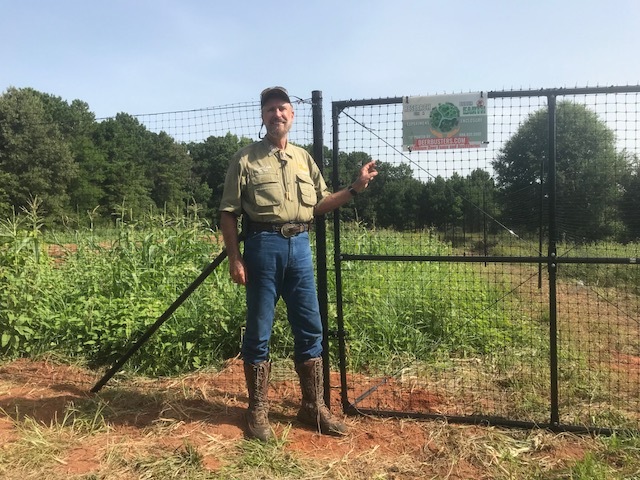 This is the top-of-the-line extruded deer fence from the Trident brand, offering a certified breaking strength of 950 pounds and a life expectancy exceeding 20 years. Shop Trident Extruded Deer Fence with a Reinforced Bottom Edge now on Deerbusters.com!